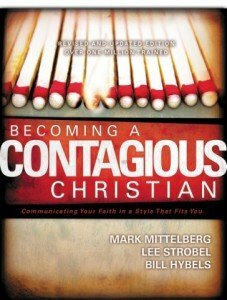 If there was one book that has shaped my practice of personal evangelism more than any other, it is Becoming a Contagious Christian, by Bill Hybels and Mark Mittelberg. They present a practical form of personal evangelism that can help the ordinary person in the pew overcome their shyness or fears in talking about their faith in Christ. I was once the obnoxious in your face evangelist, but I’ve changed. 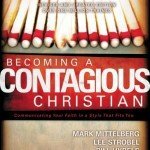 Becoming a Contagious Christian helped me change my approach to personal evangelism and now I teach these same principles in my materials throughout the US and Latin America.